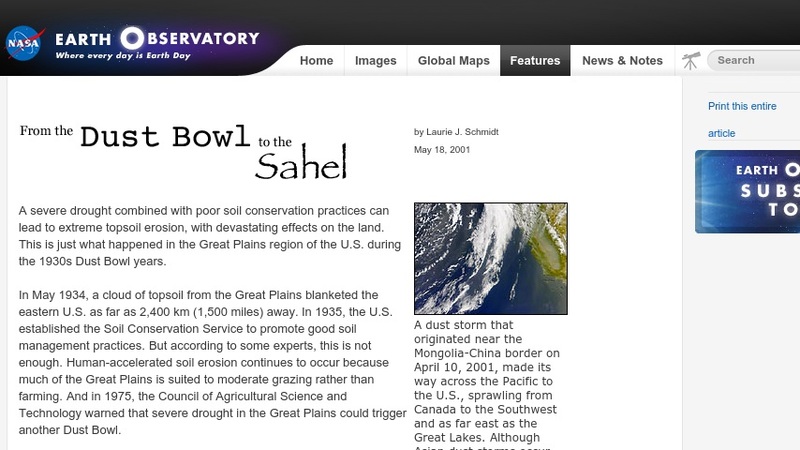 This site provides a brief description of the Dustbowl in the American Great Plains during the 1930s and relates its effects to what is occurring presently in the Sahel of North Africa. In this dry savannah environment, human activity coupled with prolonged drought are causing desertification. The site features text, satellite imagery, and links to other related materials.